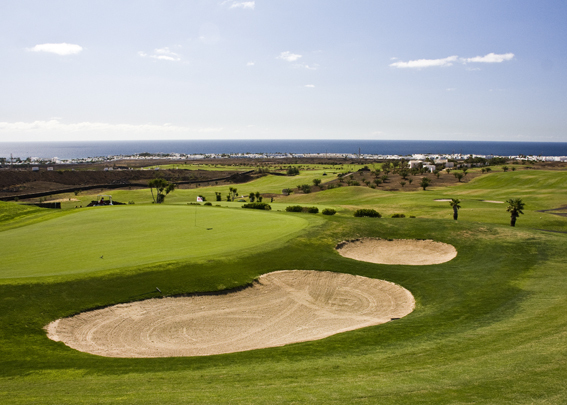 Designed by the famous North-American Ron Kirby, Lanzarote Golf is a modern 18 hole par 72 golf course, situated between Puerto del Carmen and Tias. Surrounded by volcanoes, it offers uninterrupted views where one may practise golf while contemplating all the majesty of the Atlantic Ocean and the traditional landscape of Lanzarote. 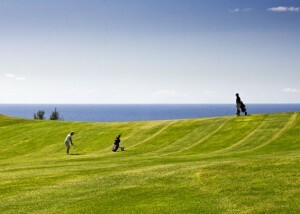 “Lanzarote Golf” is a course catering for all levels of golfers, from professionals to those with high handicaps. It has four par 3′s, four par 5′s, and ten par 4′s with a total of 6.133m. in lenth. The designer, Ron Kirby, has respected to the maximum the original land and the typical Lanzarote landscape. The course has been constructed on natural hills, resulting in attractive undulations.